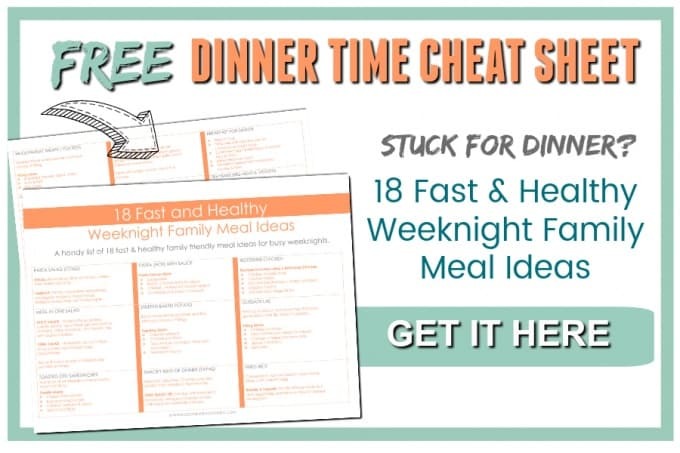 I’ve tried a lot of homemade tortilla recipes and always end up disappointed with the result and resort to just buying the store bought options. This two ingredient soft tortilla recipe changes everything. It’s made using two real food ingredients (Yup. TWO) and can be whipped up in a couple of minutes. I’m all for eating healthy food, but I really want it to taste good too. It’s no good cooking up a recipe and then have no-one in the family actually eat it. 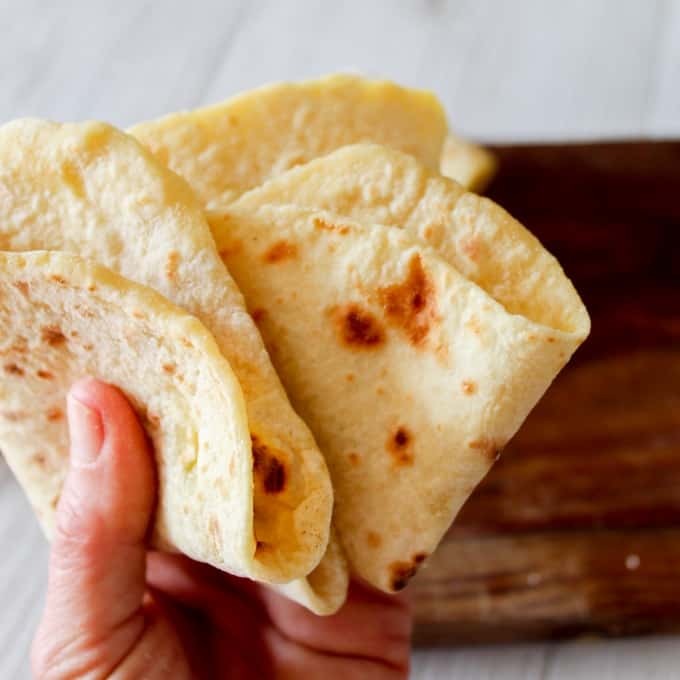 This simple, soft tortilla recipe is one of my most loved family recipe. Tortillas turn out soft on the inside, golden on the outside and they taste amazing! 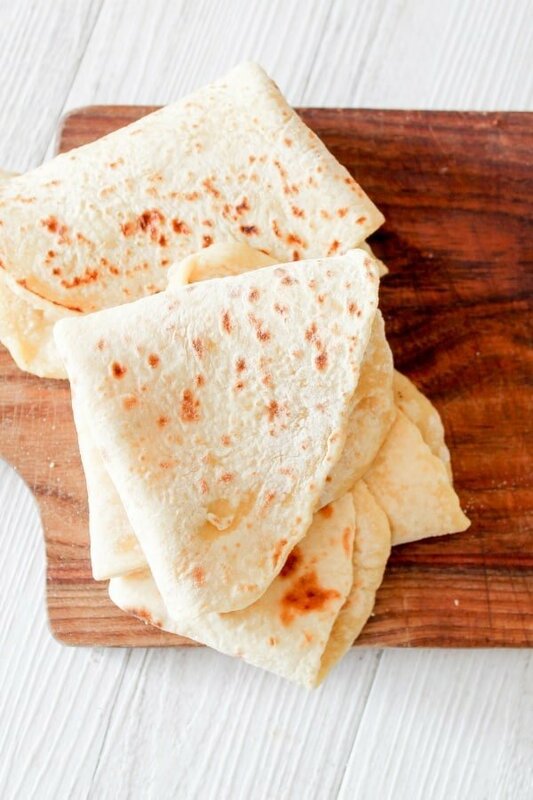 Homemade Wraps -stuff them with your preferred salad, meat or egg fillings. Naan Bread – Use as a healthy Naan Bread alongside a delicious chicken curry. Roll out into round tortilla. The dough is a bit wetter than usual, so use plenty of flour to dust your board when rolling out. 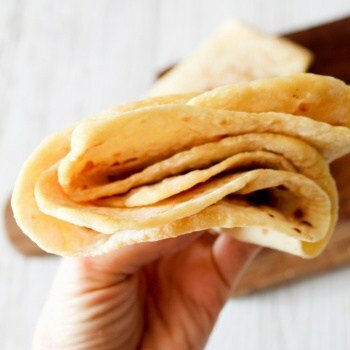 This recipe makes 4 large tortillas, but feel free to divide into eight pieces to make up 8 smaller (kid friendly) tortillas. Cook your tortilla. Heat up a pan on the stove, add a little olive oil or butter to the pan and add rolled out dough. Cook one tortilla at a time. Turn over and cook the other side once bubbles start to form and underside is golden. Cover with a clean dishcloth to prevent drying out whilst until ready to use. This two ingredient soft tortilla recipe changes everything. It’s made using two real food ingredients (Yup. TWO) and can be whipped up in a couple of minutes. Mix flour and yogurt together until dough forms. Leave to rest in the fridge for around 10 minutes before rolling. Divide into 4 pieces (or 8 for smaller tortillas). 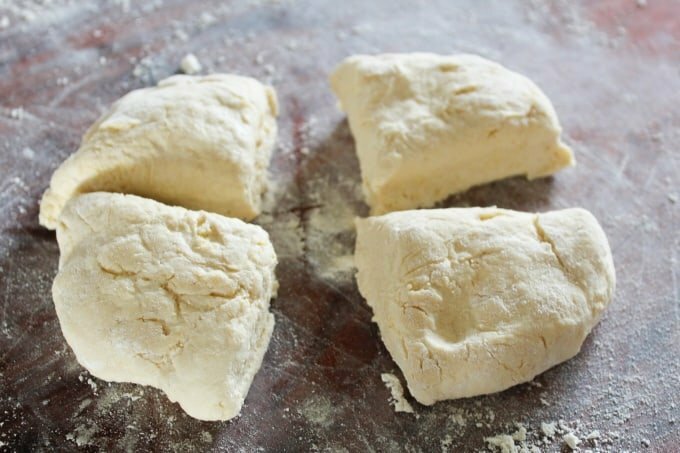 Roll dough into a ball before rolling flat using a rolling pin. Heat up a pan and add a little butter or olive oil to prevent sticking. Lay one tortilla in the pan. Turn once bubbles start to form on the topside or the tortilla turns golden underneath (around 30 seconds aside). Cover with a clean dishcloth to prevent drying out before serving. To make a quick garlic bread. Spread a little butter and crushed garlic over your tortilla and bake in a hot oven for 3-5 minutes until butter melts.